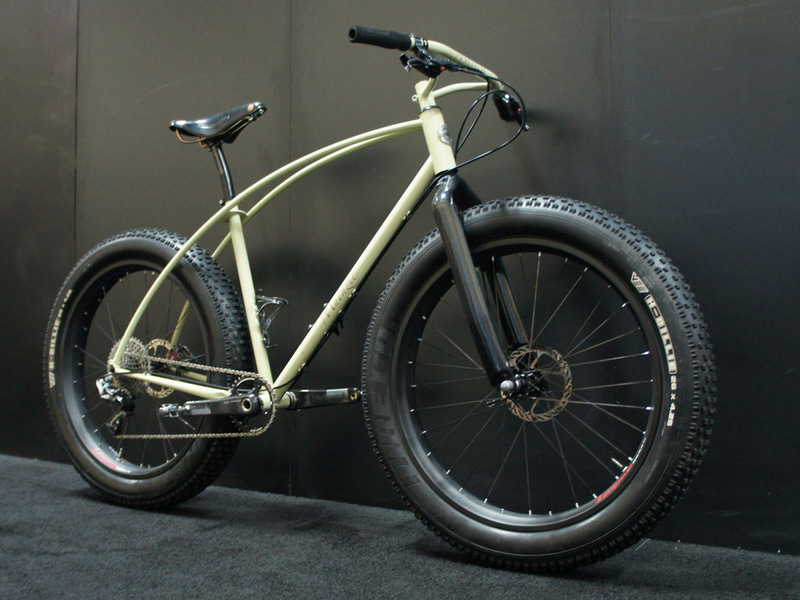 Hand built in Michigan by the founder of Nuke Proof (of carbon hub, rather than mail-order-rad fame), 616 Fabrications’ Meunzie was one of the most appealing fatbikes at Interbike this year. 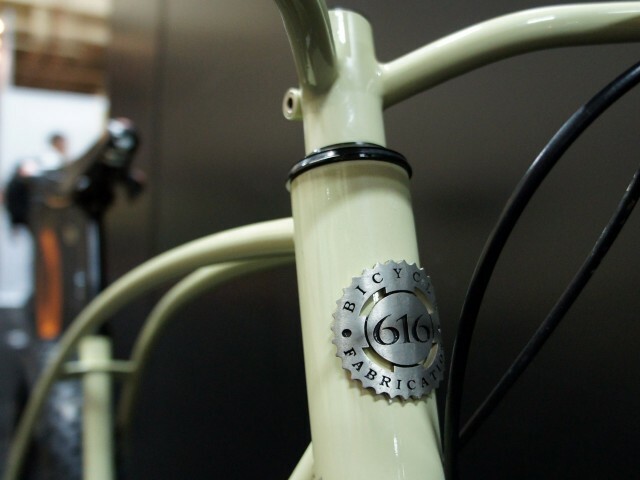 The unique, creamy shade of “pistachio” and retro-style twin top tubes/seatstays did their part, as did the bike’s remarkable 24.5 lb weight- especially given the Brooks leather saddle and Avid mechanical discs pictured. Hiding in the deepest, darkest corner of the Mandalay Bay convention hall, the Muenzie was illuminated by the enthusiasm of its builder, with John Muezenmeyer excitedly greeting nearly every passer-by. 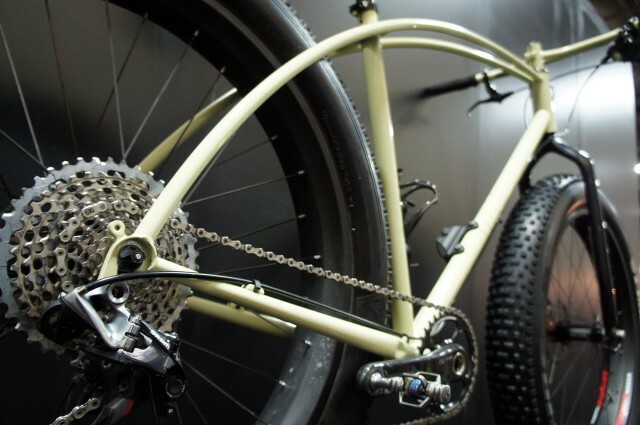 Hand build in Michigan, the frame is built of True Temper OX Platinum straight tubes, with German-made race-car-grade steel chosen for the twin arcs running from stem to stern. Low-temperature fillet brazing makes the thin seat tube junction plate possible without further reinforcement or subsequent seat tube reaming. 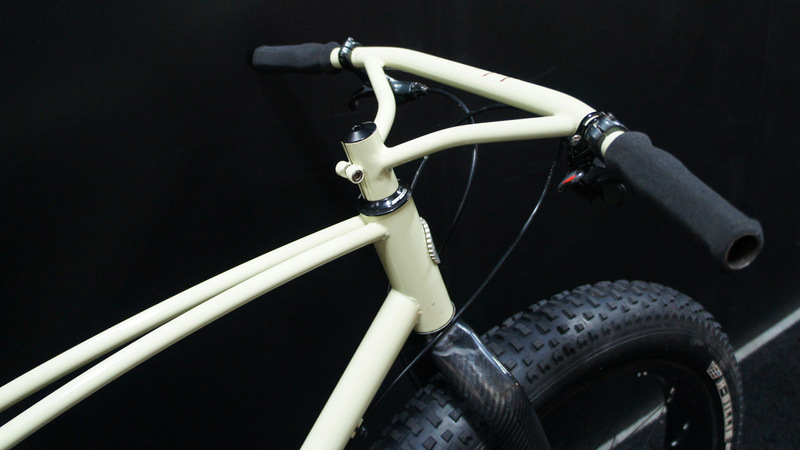 All told, the bare frame weighs 3lb even- comfortably in the carbon fibre weight range. What isn’t in the carbon fibre range is the Muenzie’s price: normally $1,450 (£890), now on preorder special for $1,000 (£613). 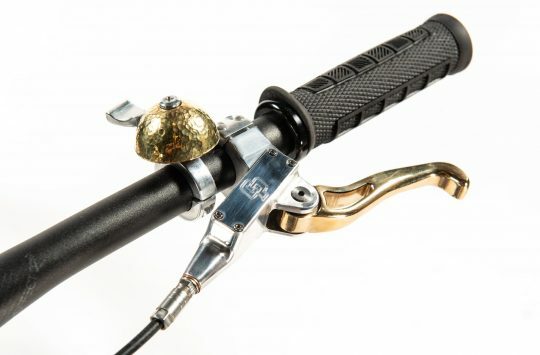 With some extra room in the budget, the matching bar/stem might be tempting. 28in/710mm wide and available in 24°, 30°, and 48° sweeps, the bullhorn combo can be built to match the purchaser’s existing hand position. 616 is the telephone code for the Michigan area in which the frames are built- not to be confused with southern California’s 661. More information on the whole range is available at 616fab.com. I think that Tim at Sideways is starting to import these into the UK ? That is rather special, mostly on price! 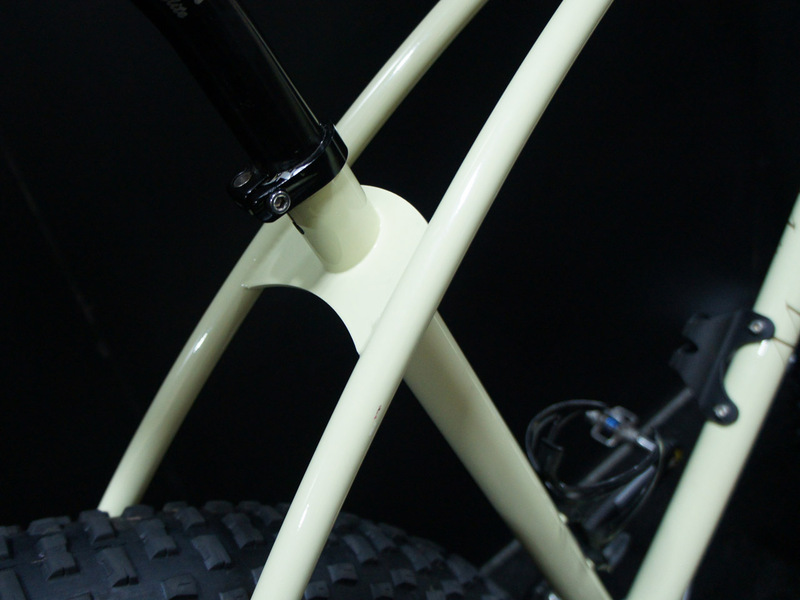 Welds on that headtube are not especially smooth, and I’m having a hard time believing the weight. Nice shape to it though! While not being a fatty fan, I would happily make room in the garage for that one. I have to agree on the welding, looks like it was done by our fitters!! steel of that weight will sacrifice stiffness. 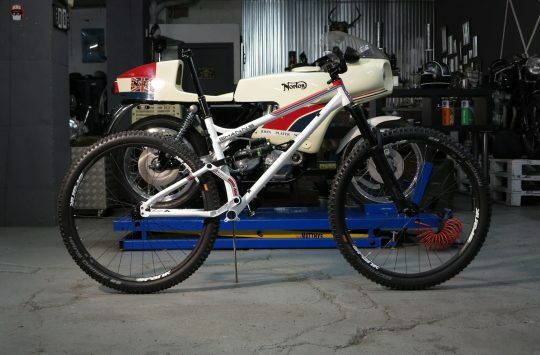 it will have trouble holding its line on tecky sections, which still matters for this type of bike if you like techy trails. Plus it will not get the power down efficiently. But if you want a comfortable cruiser, put on some high rolling fat tyres and this could be your bike. 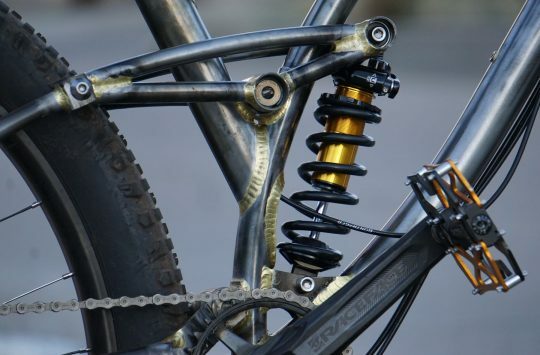 I’m also struggling to believe that frame weight…. I just made a tiny 26er for a 10yr old. That was pretty minimal, seat tube half that length, skinny 1″ top tube, standard head tube, super skinny 1/2″ diameter seatstays and that was an honest 3.8lbs painted. I know Ox-Plat is wafer thin, but 3lbs seems rather far fetched, especially with a 44mm head tube and wide bb shell (but happy to be proved wrong). Loving how that looks, pricing seems very reasonable as well. Think that might be a plan for the new year.